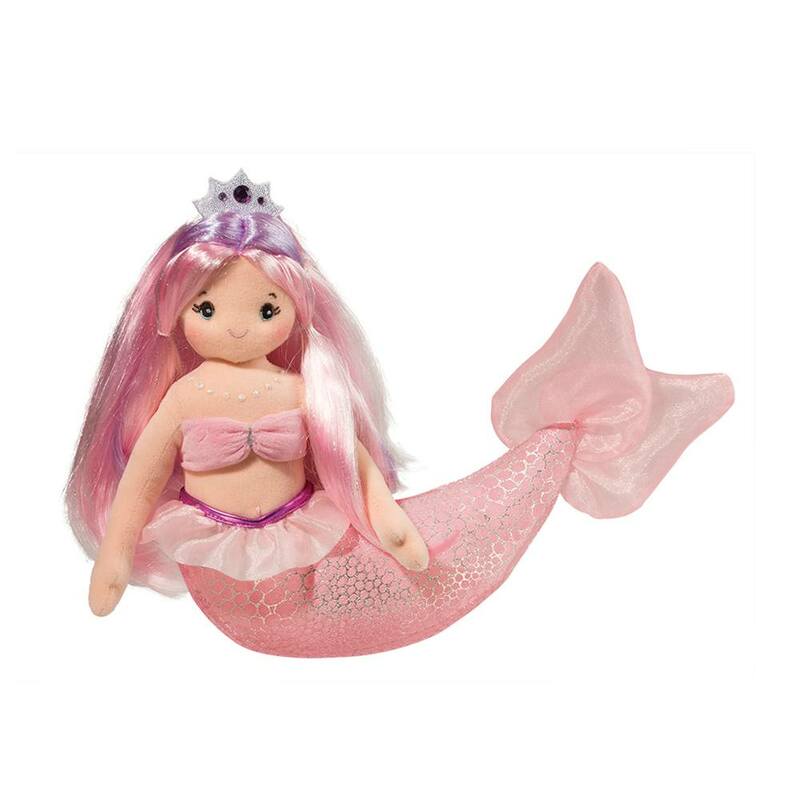 Serena Pink Mermaid is happiest when she’s getting her sparkly pink and purple hair styled! Velvety soft body with tulle detail and embroidered pearl necklace. Purple embellished crown and unique side swept body position make her a favorite of the sea! Pink brush included.